Being able to offer your customers a PDF invoice adds a certain kind of professional feel to your business and online store. It’s also extremely useful for customers who may require invoices for their own accounting purposes. The challenge however, is that you are not able to generate WooCommerce PDF invoices out of the box. Adding this functionality to WooCommerce is actually really easy though. In this guide we’ll walk you through the process step by step. We’re going to need to install a WordPress plugin and do a few small configurations. Let’s start with the plugin. As mentioned, we need to install a plugin for WooCommerce that allows our customers to generate PDF invoices for the orders that they make on the site. There are actually a number of plugins available that provide this feature. 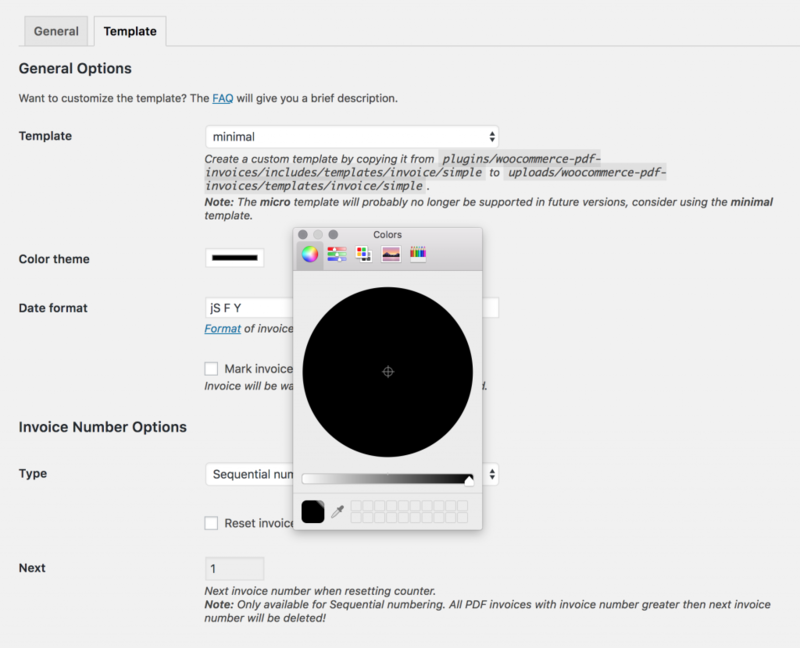 To let you in on a little secret, we’re actually in the process of developing our own WooCommerce PDF invoices plugin. We’re not quite ready just yet to release it, but will be announcing the release shortly on our blog. While that plugin is being finished off, we do have a recommendation for you for an existing PDF plugin for WooCommerce. 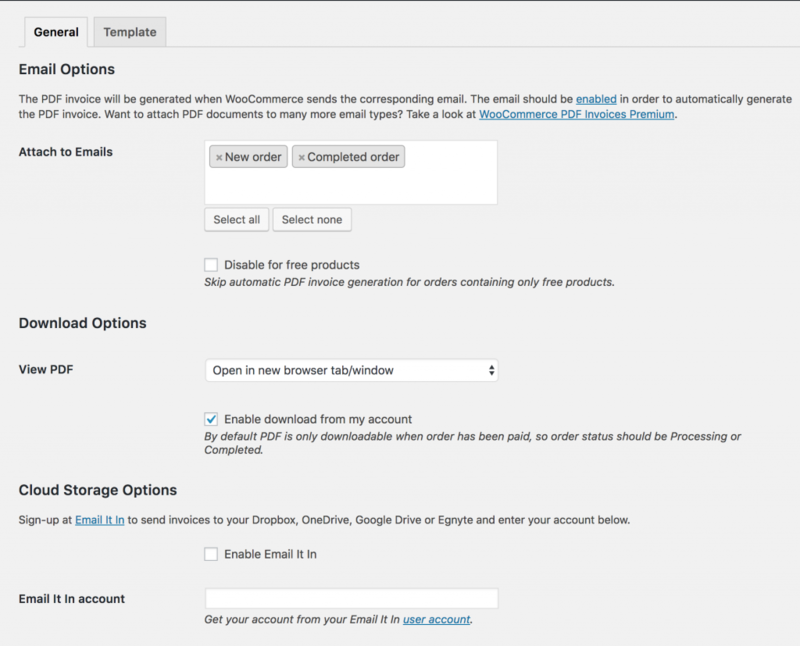 That plugin is called WooCommerce PDF Invoices and can be found on the WordPress.org plugin repository. Go ahead now and download and install the plugin. Once it’s installed, make sure that you activate it and then move on to the next step. Send PDF invoice when a new order is generated. This is generally before payment and processing. Send the PDF invoice once processing is completed. Depending on your type of product and business, you may choose either of the above options. You are also able to send it on both of the above emails that get sent out. To configure the above option, hover over the “WooCommerce” tab on the left hand side menu in WordPress and click “Invoices”. From this page you’ll see an “Attach to Emails” setting which you can adjust. Select which option you would like. You should now continue to configure the PDF invoice settings. From the same settings page that we configured in step 2, you are able to configure more email options. Select the options that are appropriate for your products and business. Next, move on to the “Template” tab. From this tab you can edit the look and feel of your invoice that gets sent out. Go ahead and configure the options to match your brand. You can also adjust localization and formatting settings here. When you’re happy, hit “Save Changes”. Lastly, it’s a good idea to make sure that everything is working as expected. What we generally do is create a test order that we end up voiding. You can do the same and check your email for the attached PDF invoice once the order is created or processed. Easy peezy, lemon squeezy! We hope you enjoyed this guide and found it useful. Let us know if you ran in to any “gotchas” during the process in the comments below and we’ll do our best to help you out.